Since we live in a country, where cricket is referred as religion and the greatest cricketing event IPL is around the corner it is high time we come across some of the best cricket games available in the play store. For a die-hard cricket fan, this list of cricket games is for every cricket enthusiast. Cricket offers lots of Tournament IPL, T20 Cricket, and World cup, and the games which are mentioned in this article provides all the excitement of a cricketing field. 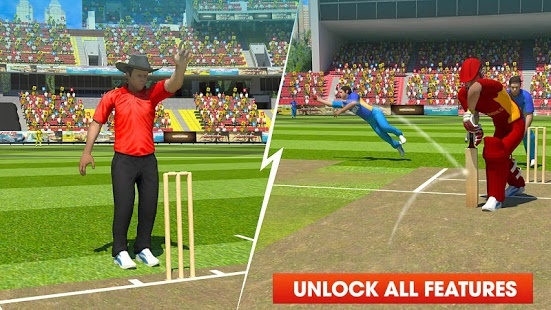 It is EA sports Cricket that gave us the first real emulation of the great sport in our computer but after 15 years, it is possible for us to play such cricketing games on our mobiles itself. The evolution of smartphones and hard work paved the way for us to play almost real like cricketing games on our smartphones. 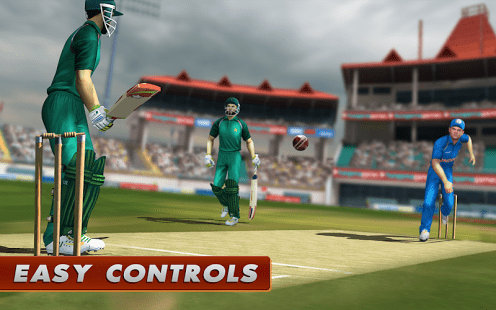 Here, I have picked some of the best Cricket Games for Android phone users and Tablet users. The Topfree cricket Games are chosen based on the reality of the Game, user rating and how they cope up with various devices running on various specifications. 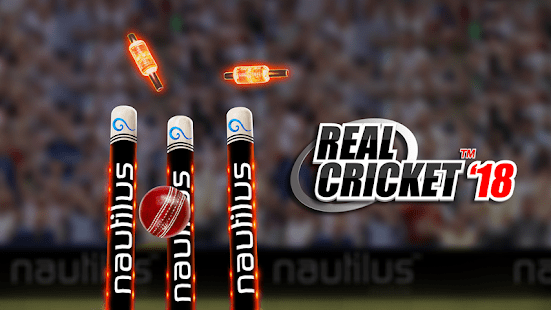 Real Cricket 18 has been just released as an early access for mobile devices and even in this short time; it has been regarded as one of the best cricket games for android. In fact, it may appear to be better than EA cricket, which is a PC game. The game has a plenty of different modes. From quick matches, 20-20, world cup, under 19 to the upcoming Indian Premier League. It features all the cricket-playing nations with their updated teams. The batsmen too are bundled with all the awesome shots. From a helicopter, sweep, uppercut, cover drive, on the drive, flick, this game has it all. The batting gameplay is very smooth and with future updates, it is supposed to smoothen up more. The game is very much challenging even in easy mode. Its graphics, gameplay, game modes etc. make it one of the best cricket game available in the play store. There are choices in batting shots and even bowling with certain bowlers have certain bowling skills according to their attributes You have many choices in batting shots, bowling deliveries, and field placements. Not only that, it has a real like studio and award presentation ceremony that makes this game every way realistic. 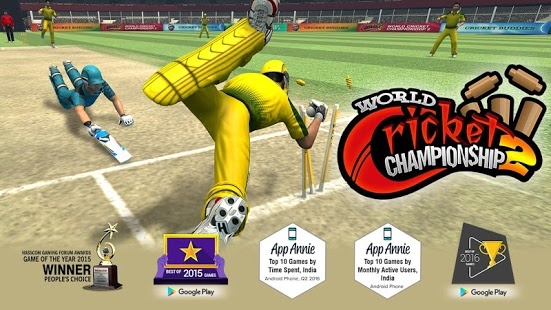 World Cricket Championship 2 is by far the most downloaded, most played and most popular Android Cricket Game app in the Play Store. Not only that it has been awarded by the editor’s choice awards from google.WCC2 is the most advanced 3D mobile cricket game with high-quality graphics and animation which puts it above all other cricket games. The players can be customized and there are many venues from all over the world that add an extra element to the matches in the game. With 69 different batting shots and 8 different bowling actions, this is by far one of the biggest libraries of cricketing skills in a game. Realistic ball physics, scintillating animations with different camera angles along with Hawkeye and DRS only intensify the experience of the players. WCC2 features 18 different international teams and 10 domestic teams which satisfies all the users. TEST Cricket along with Hot Events and more than four tournaments including World Cup, World T20 Cup, Blitz Tournament and ODI Series only make it appear brighter in the play store. The concept of a game featuring Sachin Tendulkar is an enticing prospect in itself. The game aims to capture the legend’s journey right from his starting days, progressively moving ahead throughout the years. 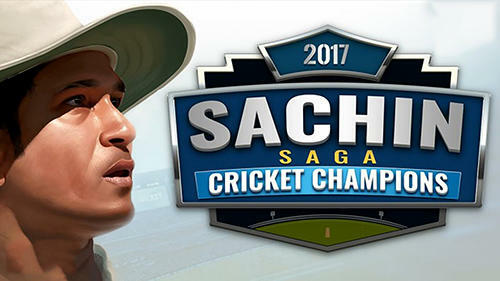 This is seen in the “Legends Mode” where the player is presented with various scenarios, and he has to bat as Sachin Tendulkar to help the team over the line. In these different matches, Sachin is seen playing for different teams like Mumbai, West Zone, Yorkshire, and India as well. Players are given a specific target and the number of balls in which they have to achieve the target. As you progress to a certain level in the mode, you get a chance to create your own playing eleven, which comprises of players from other countries across eras in which Sachin Tendulkar featured. After selecting a team, you can play in ‘Events Mode’. There are various matches available here, which last for a limited period. However, to enter any event, you need Event Tickets, which can be purchased using coins, earned in the Legend mode. However, most often the charge of playing is too high, and will more often than not be told that you need to purchase a certain number of tickets from the store to go ahead, which means shelling out actual money. This is a simple game with some easy controls. Some of the best matches of “Sir Jadeja Career” boost the Story mode of this game and that really brings up the nostalgia factor. There is also special and Power Shots and a dynamic artificial intelligence system ensures that no two matches are alike. The game is filled with the realistic art style and Full HD 3D graphics with realistic animations. There are various authentic stadiums. You can upgrade your Batsman to play better, faster and stronger. There are Multiple Modes like Exhibition, Story, Quick Play, and much more will be added soon to the list. There is an online leaderboard system where we can compete with friends. The game includes 10 international teams to choose from. With TV broadcast style cameras. There are Variety of shots like diol scoop, Helicopter Shot, Reverse Sweep, Square Cut, Paddle Shot and many more. A player becomes a Centurion or achieves immortality by winning 25 games in a row. Achievements help you earn the extra buck for your special performance. The game has HD Sound and you feel like you are actually playing in a real stadium with the spectator keeps on cheering a player’s every move. 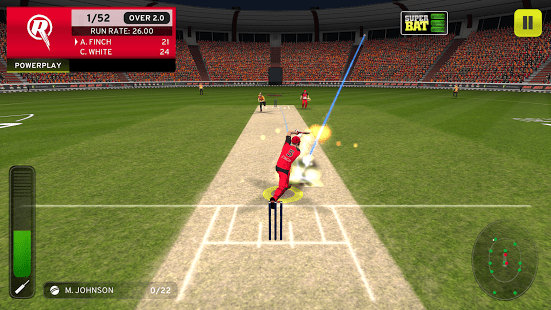 Big Bash Cricket Recently Got A Big Update And Gameplay Is Much Better Than Before. It Is One Of The Best Cricket Games For Android 2018. The new update has added many new Features and it has improved the gameplay making it easier to play. This Cricket Game Is Based on Australia’s Big Bash League. The players can select their favorite BBL team to play with, and start the tournament. The new update allows players to play full big bash league and women’s Big Bash League competitions. There is an option of playing a quick match of two overs or the players can play a full 20 overs match. Graphics of this game are average since the graphics have not been updated from the first version of this game. There are tons of cricket games available in the google play store but that does not give us the assurance that all the games are customized well for the users. The games, which are mentioned in the article, are not only new but they give the players quite an authentic user experience. The most important point that makes these games more exciting is the use of the resource. All the games run smoothly in a medium spec device and no lags are experienced. Hence, unlike many games, these games do not require a high level of hardware and that is what makes them all the more attractive. Hope you too enjoy these Best Cricket Games for your Android mobile.